Companies in industries such as printing, coatings, automotive, finishing, aerospace, painting and any other industry that requires waste to be reused, will see huge cost savings after adding solvent recycling to their process. Once a company realizes these benefits, buying or renting the equipment to recycle solvents is an easy decision. Selecting the right equipment for your business, however, is more difficult. 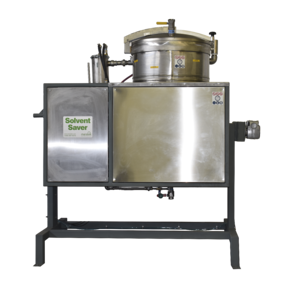 There are various factors that come into play when choosing your solvent recycling equipment, and you will need to take into account aspects such as the type of solvent you use, the quantity of solvent you need to treat and the type of waste residue you prefer. There are two main types of solvent recycling equipment - batch and continuous. Maratek, an award-winning industry leader that engineers both batch and continuous units, explains the difference. A batch solvent recycling unit operates one cycle at a time, allowing a business owner to control exactly when the equipment is running. This is perfect for companies that generate less waste, with batch models allowing waste to be stored inside the unit until it is ready to run. Batch units are easy to operate and maintain, and in most cases these units are simply a case of plug and play. Batch models work during loading and unloading periods and the user either holds a button or manually fills the distillation vessel, before returning after 8 hours to collect the drum filled with the recovered solvent. Maratek’s Solvent Saver Batch (SSB) and SSB Premium models have been engineered for different complexities of waste streams. These units come in 8, 16, 32, 48, 75 and 110 gallon sizes, allowing for all industries to use these systems no matter their size. Continuous units can be programmed to operate either in batch or continuous feed mode and Maratek’s Solvent Saver – Continuous units can handle outputs from 5 to 50 gallons per hour, and even larger. Continuous models are fully automated and are operated by a PLC controller with a color LCD touchscreen interface that will start the auto-fill process. The machine will then fill itself and complete the recycling process, before finishing with a self-clean. Businesses that recycle under 275 gallons per week (or 5 drums) are probably best placed to go for a smaller Solvent Saver Batch (SSB) model. Batch units are perfect the companies that do not have the need to constantly recycle solvents, and will only use the equipment as and when it’s needed. For businesses with higher quantities of solvent to recycle, however, will be better placed to go with a larger automated system like the Solvent Save Continuous (SSC) line. With Maratek’s uniquely designed units - both batch and continuous - your business can expect to recycle up to 95 per cent of your waste solvent stream no matter what type of solvent you’re using. By selecting the appropriate equipment, your business will be able to choose the unit that integrates perfectly into your solvent recycling process. Need more information? Contact Maratek today.